They didn’t half try, yet no amount of huffing and puffing can help Ashley Young cross a ball. But given the manner of the defeat, another PSG could be on the cards, couldn’t it? 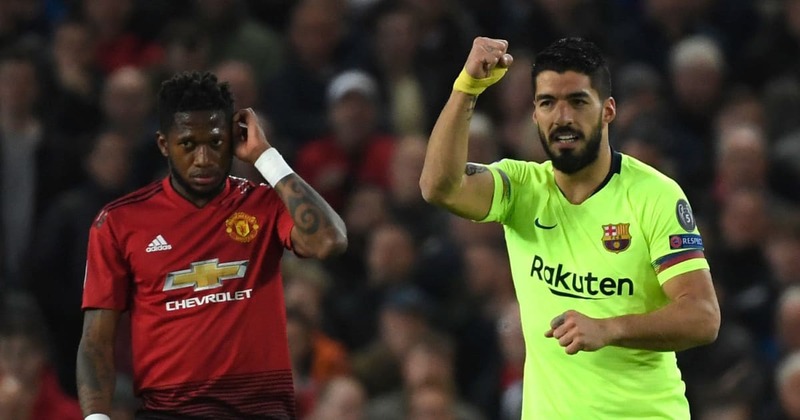 ?Just 12 minutes into the match, the much maligned VAR had a huge say in proceedings after correctly awarding ?Barcelona the opening goal after Luis Suarez was incorrectly flagged offside. Naturally, those in favour of the new technology made their voices heard.
? ?As the half grew on, ?United began to grow in confidence, something that was epitomised in Chris Smalling’s robust, yet fair, aerial challenge on ?Lionel Messi, leaving the Argentine with a rather bloody nose. The sight of Messi’s blood revealed two things. 1) It is in fact red, normal and like all others. 2) When he’s losing some, people get worried. Very worried. They’ve injured my baby #MESSI ?????? Oh, and don’t forget about Diogo Dalot’s rather impressive miss from Ashley Young’s header.
? ?In the end, though, it all kind of fizzled out for Manchester United, though many praised their Solskjaer’s boys for their efforts – feeling another Champions League second leg turnaround could be on the cards.
? ?Re-creating the magic of their miraculous win in Paris will take some doing, but nothing is out of the realms of possibility. After all, Ole won the treble with United in ’99. Under Sir Alex Ferguson of all people. As if you hadn’t heard eh..